On Saturday, in order to meet the NFL’s 53-man roster limit, the New York Giants made 29 roster moves. The Giants also sent a conditional draft pick to the Pittsburgh Steelers for cornerback Ross Cockrell. 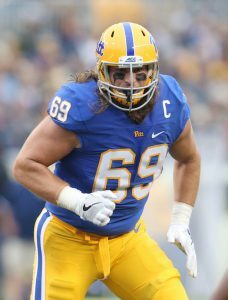 The 6’0”, 191-pound Cockrell was originally drafted by the Buffalo Bills in the 4th round of the 2014 NFL Draft. The Bills cut Cockrell in August 2015 and he then signed with the Steelers. In two seasons with the Steelers, Cockrell played in 31 regular-season games with 23 starts. He started all 16 games in 2016 and finished the year with 62 tackles and 14 pass defenses. He had two interceptions with the Steelers in 2015. Cockrell struggled with the Steelers this preseason. Five of the team’s six 2017 draft choices made the 53-man roster. Bisnowaty was waived despite being drafted in the 6th round. In addition, three rookie free agents are on the team: FB Shane Smith, OT Chad Wheeler, and LB Calvin Munson. “Munson is a guy we were excited about from a special teams perspective,” McAdoo said. 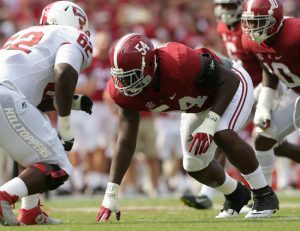 “He’s also a guy that can add depth at linebacker. We had a lot of guys nicked at the linebacker position, so he got to play a lot of football for us, which is good for him. We need to get him going on the special teams as well. It’s a credit to Munson, he’s done a nice job jumping in with both feet and really taking advantage of his meeting time and his field time. “Wheeler probably should have been drafted in the middle rounds somewhere. He slid on the board and we were fortunate enough to get him as a free agent. He’s a talented player who has a little bit of a mean streak in him, which we like. Fundamentally, he’s coming along, and we feel he has a bright future for us. Last year, in his second season, Will Tye was promoted to the starting tight end spot at midseason after the bye week. He played in all 16 regular-season games, with 10 starts, and finished the year with 48 catches for 395 yards (8.2 yards per catch) and just one touchdown. 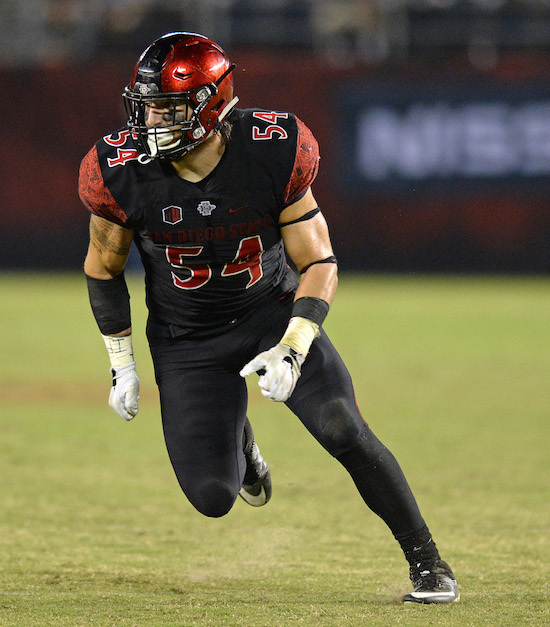 Tye was originally signed as a rookie free agent after the 2015 NFL Draft by the Giants. In 2015, he played in 13 games with seven starts, and finished the season with 42 catches for 464 yards and three touchdowns. Tye was voted to the Pro Football Writers NFL All-Rookie Team. Herzlich was signed as an undrafted rookie free agent after the 2011 NFL Draft. 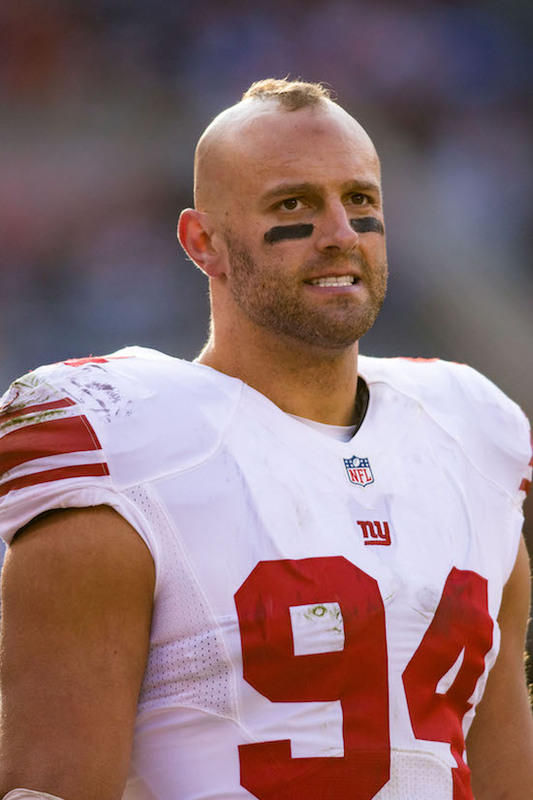 He has started 17 regular-season games in his six seasons with the Giants, eight of which were in 2014. Last year, Herzlich played in 14 regular-season games, missing two with a concussion. He finished with seven tackles on defense. 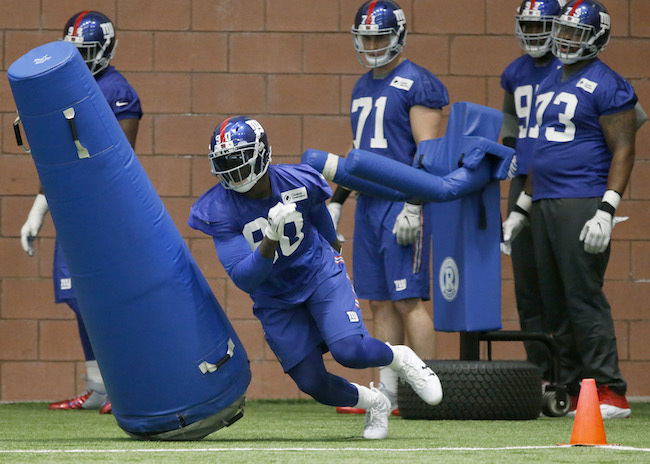 The Giants held their sixth voluntary organized team activity (OTA) practice on Friday. No live contact is permitted during OTAs, but 7-on-7, 9-on-7, and 11-on-11 drills are allowed. The four remaining OTA practices will be held on June 5-6, and June 8-9. A mandatory mini-camp will be held on June 13-15. Wide receiver Brandon Marshall (soreness), tight end Rhett Ellison (calf), cornerback Eli Apple (hamstring), and linebacker J.T. Thomas (recovering from torn ACL) did not practice. “We have a couple guys who are sore, so we held them out today for precautionary reasons,” said Head Coach Ben McAdoo. Wide receiver Kevin Norwood left practice early with an undisclosed injury. Wide receiver Odell Beckham, Jr., left guard Justin Pugh, defensive end Olivier Vernon, defensive end Owamagbe Odighizuwa, linebacker Jonathan Casillas, cornerback Janoris Jenkins, and safety Nat Berhe were no-shows for the voluntary OTA. QB Eli Manning threw early touchdown passes to wideouts Dwayne Harris and Sterling Shepard. Geno Smith received second-team snaps at quarterback. 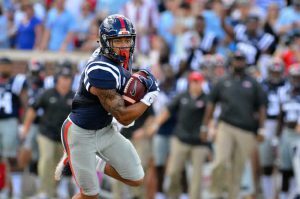 Smith hit TE Evan Engram for a red-zone touchdown on a rollout pass. TE Matt LaCosse saw a lot of action with the first-team offense and was active catching the football. 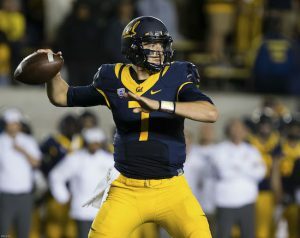 He came up with two impressive touchdown grabs on passes from QB Davis Webb. QB Davis Webb made a nice sideline throw to WR Travis Rudolph, who kept both feet in-bounds. QB Josh Johnson hit WR Roger Lewis for a touchdown on a fade pass. CB Donte Deayon saw first-team reps at slot corner again after Dominique Rodgers-Cromartie. 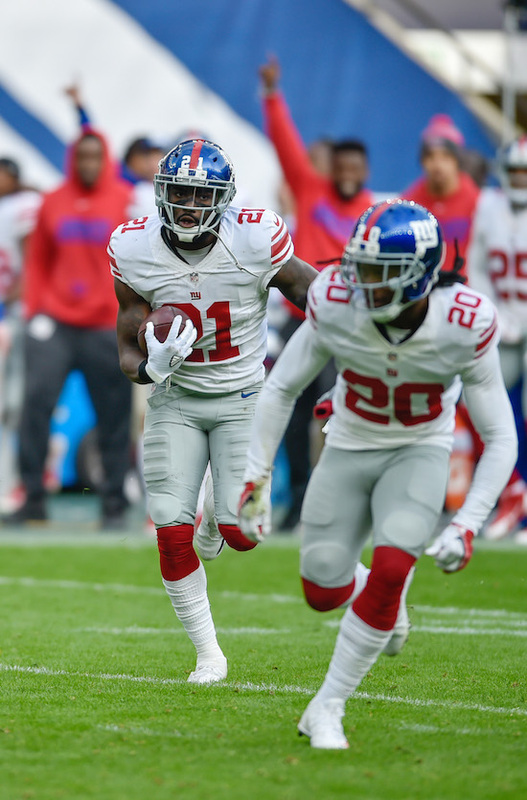 With Janoris Jenkins absent and Eli Apple sidelined, the starting outside corners were Michael Hunter and Valentino Blake. With Justin Pugh absent, Adam Gettis started at left guard. Safety Landon Collins made a leaping interception. The New York Giants have waived cornerback SaQwan Edwards and waived/injured wide receiver Jalen Williams with an undisclosed injury. Williams was then placed on Injured Reserve. Edwards was signed by the Giants after he impressed as a tryout player during the May 2017 rookie mini-camp. Edwards was originally signed by the Oakland Raiders as an undrafted rookie free agent after the 2015 NFL Draft and spent most of the 2015 season on the team’s Practice Squad and all of 2016 on Injured Reserve with an undisclosed injury. 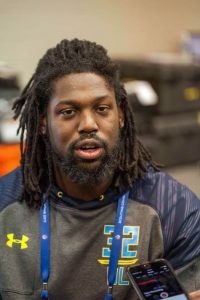 Williams was an undrafted rookie free agent signed by the Giants after the 2017 NFL Draft. To fill these vacant roster spots, the Giants signed undrafted rookie free agent wide receiver Jerome Lane (University of Akron) and re-signed undrafted rookie free agent cornerback Nigel Tribune. The 6’3”, 220-pound Lane is a big, physical receiver who lacks ideal speed and quickness. 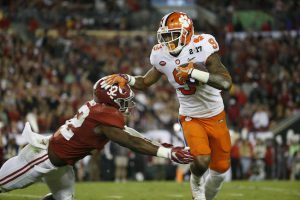 Lane will make the tough catch over the middle but may struggle to separate from NFL defensive backs. Tribune was originally signed after the draft by the Giants but waived two days later when Edwards was signed. Tribune is an experienced corner who started games every year at Iowa State. He was suspended for a drunk driving arrest his senior year. The transcript of Ben McAdoo’s press conference on Friday is available in The Corner Forum while the video is available at Giants.com. The New York Giants made six roster moves on Saturday. The team signed rookie mini-camp tryout players running back Khalid Abdullah, cornerback SaQwan Edwards, and safety Trey Robinson. 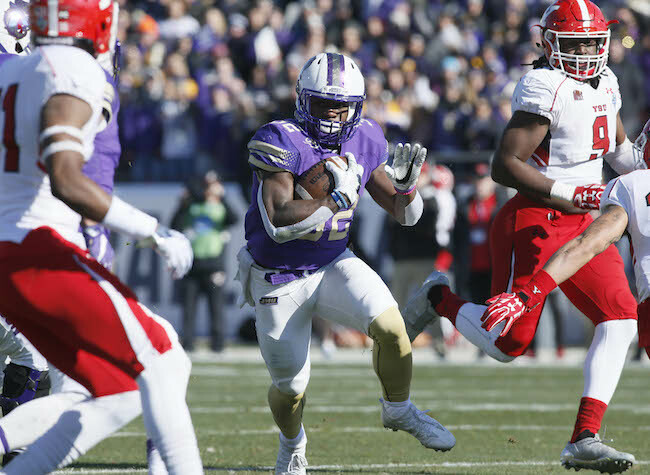 To make room for these three, the Giants waived undrafted rookie free agents wide receiver Robert Wheelwright and cornerback Nigel Tribune as well as running back Daryl Virgies, who the Giants signed to a reserve/future contract in January 2017. Edwards was signed by the Oakland Raiders as an undrafted rookie free agent after the 2015 NFL Draft and spent most of the 2015 season on the team’s Practice Squad and all of 2016 on Injured Reserve with an undisclosed injury. Edwards is a tall, athletic corner.